Yafa Pen Co. 1-800-YAFA-PEN. 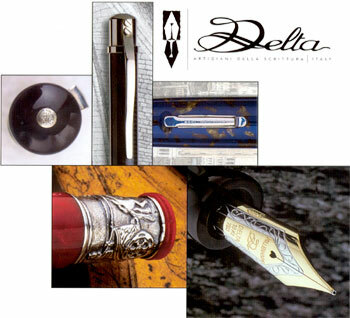 Manufacturers of fine writing instruments, gifts and promotional products. A modern collection of writing instruments with a vast array of combinations in Solid Sterling Silver, Nickel and lacquer. Solid Sterling Version are 3 piece: fountain pen, roller ball and ball pen. Doue version, cap in sterling silver and body in lacquer; fountain pen, roller ball and ball pen available in 6 different colors. Lacquer version, all lacquer; fountain pen, roller ball and ball pen available in 6 different colors.